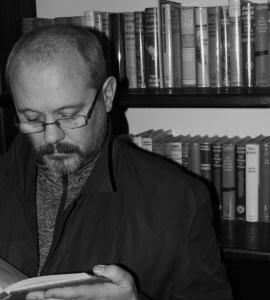 Karl Holton started writing in February 2017. He is an indie author and self-published his first book, ‘The Weight of Shadows’ in July 2017. This was the first in a series of books in the crime thriller genre, known as the ‘Shadow Series’. The second book in the series, ‘The Wait for Shadows’ came out in December 2017. Karl worked in the financial markets for over thirty years, then decided to follow his dream of writing the stories that he carried around inside his head for many years. He lives in Surrey, England with his wife and two children. Peter: Karl, it was a pleasure to get the opportunity of reading your books Weight of Shadows and Wait for Shadows. I am delighted that we have the opportunity to conduct this interview to ask more questions about your novels, plans and your writing experience. Many thanks for making the time available to answer these questions. Peter: Where did the idea come from in creating The Weight of Shadows and its follow-up The Wait for Shadows? Karl: The very first seed of the idea started in my head between late 1994 and early 1995. At work, I was getting first-hand exposure to how the global financial markets really worked seeing the detailed mechanics of huge financial institutions. Then I began working in forensics; as an example, I would investigate how rogue traders at banks were trying to cheat. I ended up working on some major cases. When I combined this experience with a love of both detective and spy fiction, a whole bunch of characters and plots started to form. My main character, Danny Benedict, was there in my head from the very beginning and Hanson arrived shortly after. Then life changed; I started a new business (still involved in financial markets), got married and had kids. Although I continued to create ideas in my head (especially things like character backstory), I never had the time to devote to writing. It was only when I stopped working full-time (beginning of 2017) that I could spend quality time building on what I had and seeing if I could write. Once I started developing the whole idea, what I suspected was true quickly became fact; I realised that the story in my head was a series of books. At that point, I needed to think about each book and how I would structure and reveal all the classics; plots, subplots, settings, characters and themes. Karl: The ‘which is your favourite child’ question. Obviously, this is very difficult to answer but if you want to push me into one, it would be Benedict. Funnily enough your question hits the reason. He’s probably my favourite because he is the most difficult to progress at the right pace. His traits can move from intriguing to annoying or thrilling to exasperating quickly. When combined with his back-story (which we’ve only touched upon so far) and the other characters interaction, I’m kept on my toes to make the narrative flow. This is what makes writing so thrilling and you realise that the Truman Capote quote, ‘you can’t blame a writer for what the characters say’ is true. The sensation when a character surprises the writer is sheer bliss; it’s difficult to explain in words. When it’s a character like Benedict, you get a few of these and it makes him invigorating to the point where he’s part of the driving force behind the narrative. Peter: How important do you feel it is to research elements that you integrate into your story, such as character traits, accuracy of police practices, locations, historic events, etc.? What was interesting to discover in writing these novels? Karl: This is a good question because I’m sure all authors approach this differently. Generally, I think crime thrillers need to have a certain level of accuracy and I guess I’d be described as a reasonably detailed researcher. I like to get specific facts that are core to the narrative right. Therefore, if that means looking in detail at sniper methods, Japanese swords, armoured cars, weather patterns, rifle ballistics, Thames tides or restaurant menus then I spend time doing it. Locations and historic events are particularly important to me. Locations because you may notice that every chapter is based in a real place, which I state in a chapter heading. I do this because it helps me create the image of the chapter in my mind before I write a word. A good example is the person shooting the reindeer in Iceland in chapter one of ‘The Weight of Shadows’. Before writing this chapter, I knew precisely where and when that shot was being taken. I even have a Google Map and daylight analysis giving me the detail down to the exact distance, direction and conditions of the shot. In terms of historic events, these are critical because I have, and will be, weaving these into the plots throughout the series. The real robbery within Hatton Garden in April 2015 may seem an obvious one, but this was in fact a coincidence; I had this as a plot in my first book from day one. I worked in an office a few hundred yards from Hatton Garden in the mid-nineties and I’d always thought a robbery would make a good plot. It was in fact the reason I came up with Wallace as a character (so it also ‘introduces’ her). There are other historic events, which are real that may be less obvious; I’ll mention one from ‘The Wait of Shadows’ and you can see what I mean. In 2014, $1 billion disappeared from a group of banks in Moldova. When I worked on the plot development from 2017, this real scandal mirrored what I’d already come up with in my head many years earlier. I investigated the real scandal and ‘borrowed’ from reality (a bit like Agatha Christie). Peter: Do you use story boarding or a mapping processes to develop your plots and interactions, or do you go with the flow and follow your instinct and gut feeling? Karl: I do a bit of high-level planning, which revolves around structuring each chapter and ensuring I know all the key facets, such as the setting and POV. I also try to think about the purpose of the chapter; the obvious things, such as problems, conflicts and goals. But none of this is what I would call ‘prescriptive’. I don’t sit down with a fixed plan. The moment I start writing, I let the characters go and if I sense they would have a reaction then I let them do what feels right for them and include it. Karl: I’m trying to be but I’m nowhere near what I should be. I try to avoid the distractions i.e. social media (especially Twitter) and all the other tasks and like everyone I find this difficult. My normal routine is very simple; coffee, more coffee … start writing the next chapter. I write everything in order; I do this because I’m constantly looking at the interweaving of each key element. I no longer work to a fixed daily word target. I’ve discovered it doesn’t really suit what I write and the way I approach it. When you write, I think you need to feel good and achievement doesn’t need to be measured by word numbers alone. It’s not that simple. In a crime thriller series, getting a subplot to twist through various chapters in often subtle ways is just as important. Word numbers don’t tell you that you’ve got this type of thing right. Peter: Do you use particular software applications to support your writing activity? For example, Scrivener or Grammarly? Karl: To date, I’ve just used Word to produce the manuscripts. I’ve been convinced that Scrivener is a better tool for the task and I’m now working with it on the manuscript of the fourth book in the series (yes, I said fourth). Scrivener has functionality that is specifically designed to both enhance your writing and make it more efficient. Anything that does this helps your routine so I’m looking forward to getting into using it. I use Grammarly (inside Word) but not exclusively. I always have a proofread, once I’m at final manuscript. Karl: Not at all. I’d worked for over thirty years in financial markets and although I wanted to write, it never really looked like a realistic path. As I said, when I stopped working full-time it became a possibility. Peter: What are the greatest benefits and restrictions to being an Indie Author? Karl: The biggest benefit is the control that you have over the whole creative process. At the most basic, you decide if your manuscript is ready to go. You can do as little or as much post-production work as you see fit. As every traditional published author will tell you, that isn’t the case using their route. The main restriction is simply becoming known. As an Indie Author, you are up against it with millions of books being published; some by businesses with huge marketing budgets and teams to entice readers away from your books. This isn’t for the weak hearted and it’s a long haul. Karl: As you can imagine for someone who is self-published (SP), I’m fully involved in the whole process. Let’s take the cover design as an example. 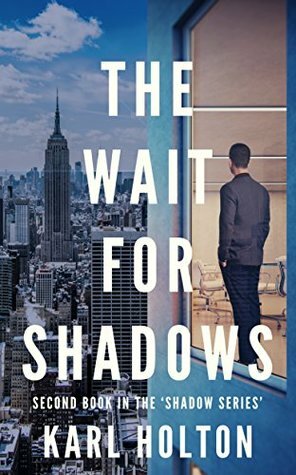 The cover of ‘The Wait for Shadows’ is a depiction of how Benedict viewed the moments before the prologue events (he wasn’t there). Once he discovered what happened. It’s a view into his ‘mind gallery’. I explained what I wanted to the designer and they sourced images that we could work with to create the effect. We had to find a view of Manhattan looking South-West from Midtown. This needed to be from the right perspective to ensure the accuracy of a view from Rockefeller Plaza was created. Then the other ‘half’ of the cover (right hand side) is an image I found. If you look carefully, you’ll notice the deliberate lack of reality. 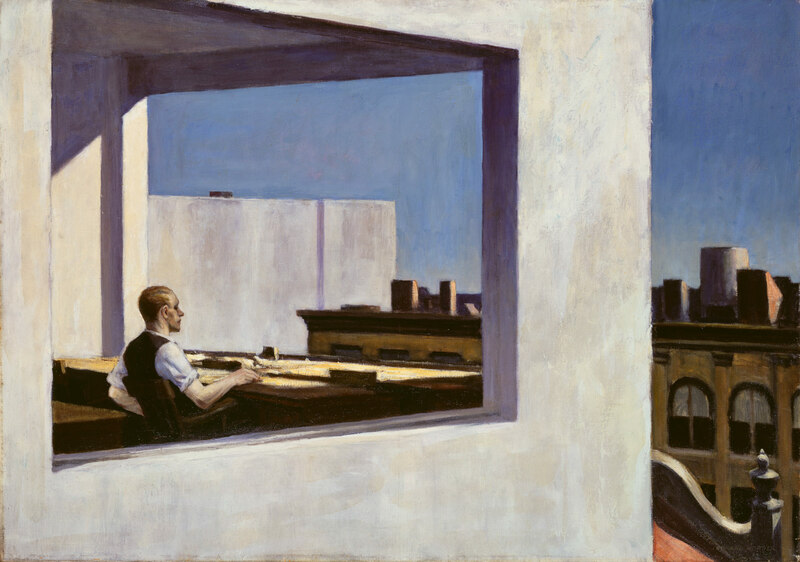 This is because Benedict is painting this in his head, using Edward Hopper as a reference (which is an echo from the first book that continues through the series). If you look at a Hopper painting like ‘Office in a Small City’ you can hopefully see the link. I could go on about this, but you can see that the cover design for example is something in which I’m intimately involved. Karl: I’m going to answer your question from my current perspective i.e. completely unknown, Indie/ SP only [i.e. no traction from other sources]. As an Indie / SP you need to understand that there is no sure way of marketing that works quickly. This doesn’t exist. If it did every author (including Traditional) would be using it. This means, if you take this route, you need to accept that huge amounts of time get spent on all the other tasks that need to be done. The primary one may seem to be marketing and don’t get me wrong, I do spend time marketing and it probably ends up being much more than I think. However, this is only important if the number of books you sell is important to you. For me, writing good books is far more important; when I’m writing I focus on it 100% and if that means I do nothing else, then so be it. Karl: I could start at the letter ‘A’ and say, Douglas Adams, JG Ballard and Agatha Christie … and then keep going. If we just take those three, Adams is one of the best story tellers the UK has ever produced and very funny. He should be read at school. Ballard is, of course, like marmite (you either love him or hate him); his provocative writing can be stunning. He probably shouldn’t be read at school. Then lastly, the ‘Queen of Crime’, Agatha Christie. Christie’s books go way beyond any compliment I could give them here. It’s a collection of stories, which give insight into a wide range of subjects that crime writers must embrace to tell great tales; everything from being human and our motivations to use of opportunity. Although, for modern taste, she may not be considered ‘thrilling’, if you like crime she’s very difficult to ignore. I love her … and I think kids could be reading her before they go to school. Peter: What was your favourite book you’ve read over the last 12 months? Karl: ‘Hello World: How to be Human in the Age of the Machine’ by Hannah Fry is fascinating. ‘Mythos: The Greek Myths Retold’ by Stephen Fry is a close second. No, I don’t just read books by someone with Fry as their surname. Karl: The answer I’ve given to this previously is simple; ‘get an editor’. That still holds and no matter what type of author you are (unless you’re just writing for yourself) an editor is essential. Your question though is about aspiring/debut authors and there’s now something else I would consider more important at that stage. You need to ask yourself a question and be totally honest with yourself about the answers (there could be many); ‘Why am I writing?’ The answer to this and the underlying reasons will inform the route you should take. Of course, this doesn’t mean you’ll be able to take that route (life isn’t always fair), it will simply create a goal that should be your focus. Once you know this, you can then start doing what every successful author does each day of the week: ‘never give up’ and get ready to do this for the rest of your life. Karl: That’s a hard one and mine would probably change each day, depending on who I’d like to meet. Given I had Shakespeare, Dylan Thomas and Caravaggio around for dinner yesterday, this evening I’d bring in Da Vinci, Alan Turing and Douglas Adams. We’d watch the wonder on Da Vinci and Turing’s face as we showed them a computer. We’d discuss the power of imagination and what humans are now capable of achieving. After too much port, Douglas would make up a funny story about the future, explain the importance of a towel and ask, ‘if forty-two is the answer, what is the question?’. 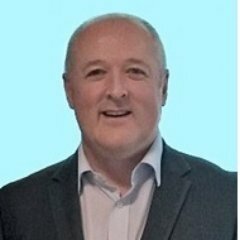 Karl: I’m excited to say that I’ve finished the third book in the ‘Shadow Series’ and it’s currently in edit. I’m hoping this will be out soon. I’ve just started the fourth book in the same series and I’m using Scrivener for the first time as mentioned. I can’t yet reveal when the ‘Shadow Series’ will conclude but at that point, the next stage for the ‘surviving’ characters will start. Some fans have asked if I’d ever write parts of Benedict’s backstory. I’d certainly consider it and I think this may become more interesting when I reveal much more of this in the third book. You’ll discover some new history about him and how he arrived at this point. 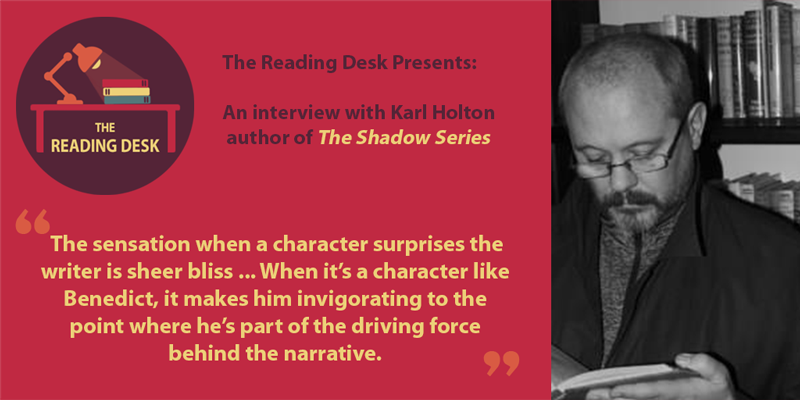 Karl: My website is at http://www.karlholton.com and you can get a free copy of ‘The Weight of Shadows’ if you join the ‘Shadow Club’ on my website. The site has links to the books on Amazon. I’m always happy to chat; I’m active on Twitter (my handle is @KarlHolton) or you can send me an email (info@thuja.co). Peter: Karl, I appreciate you taking the time for this interview. If there are other snippets of information you wish to provide, please feel free. I would like to congratulate you on your wonderful books and I wish you massive success for the future.